This year’s Omega Ruby and Alpha Sapphire for the 3DS are reboots of 2003’s Ruby and Sapphire for the Game Boy Advance. Compared to the original releases, these games are bolstered by new mechanics added into the franchise over the past decade, yet also dragged down by some disappointing decisions. Back in the day, Emerald was the shiznit, and it’s probably the Pokemon game I’ve spent the most time with over the years (SoulSilver/HeartGold and X/Y are my favorites though). I hit 100 hours on my first playthrough and I picked it up again and again over the years, so the majority of the game still feels very familiar. 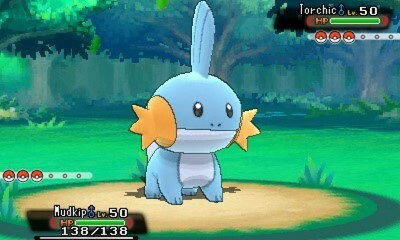 tl;dr – It’s nice to go back to Hoenn! Compared to Ruby/Sapphire/Emerald, there’s quite a lot that’s changed besides improved visuals. Most notably is the movepool’s physical/special split which carries over from Generation IV (which started with Diamond/Pearl). Attacks’ physical/special designation is no longer based on typing, but rather determined on a move-by-move basis. As one example, in RSE, Fire Punch would be a special attack because its typing was fire; however, it is now a physical attack simply because it makes more sense that way. Pokemon such as Hitmonchan, which would previously be useless because of this, now have their stats working in their favor. This change alone makes it difficult to go back to everything pre-Gen IV. The story is mostly the same as it was in Ruby and Sapphire, with Team Magma seeking to revive Groudon in Ruby, and Team Aqua seeking to revive Kyogre in Sapphire. Their reasons remain the same as always, with the only major difference being the implementation of the new Primal forms. Along with this, unlike Emerald, Wallace is the Sootopolis gym leader and Steven is the champion. One of my biggest issues with the game is actually the lack of things compared to Emerald – whereas Ruby and Sapphire felt like they only had half the story, Emerald brought everything together and made a lot more sense with Rayquaza’s inclusion. The Battle Frontier, one of the coolest parts of Emerald, has also been left out, instead replaced by a variation of X and Y’s meh Battle Maison. One of the best things the story did is hammer in just how much of a threat Primal Groudon and Primal Kyogre are. The battles with them are very difficult if you’re trying to catch them, and even if you aren’t they’ll still deal a ton of damage. 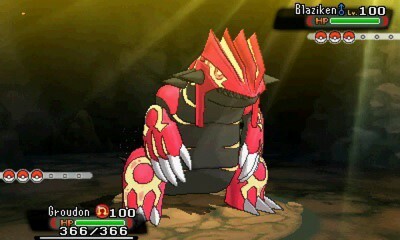 Primal Groudon’s ability also has the advantage of neutering attacks of its main weakness – while it’s on the field, water attacks are unusable. If it wasn’t for another legendary that shows up in the Delta Episode (more on this later), I’d recommend just using the Master Ball here. The Hoenn Pokedex is the same as it was in RSE, with about 200 Pokemon in the region – this is a problem. After X and Y, where Kalos had 450 Pokemon in the region (the majority of them), the lack of variety in ORAS is very annoying, especially after you run into your 50th Poochyena or Zigzagoon. Yes, Kalos was much larger than Hoenn, but it’s still a glaring problem, especially once you reach the lame attempt at adding in more Pokemon after beating the Elite Four. 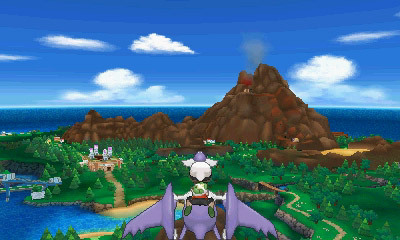 Secret bases and Pokemon contests make a return for ORAS. 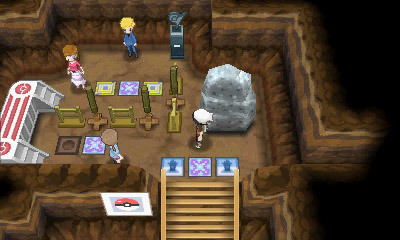 “Super secret bases” can generally be decorated in the same manner as they could in RSE – dolls, furniture, etc. – but they can also be modified into personal gyms and shared with other players, making them a bit more fun to delve into. Contests are also back, although I always found these rather pointless and never spent much time with them. They function the same way, using Pokeblocks and attack of different aesthetic types to appeal to the judges. Battle environments, particularly for gym leaders, look excellent in comparison to RSE. Rather than a generally bland and simply colored background, you can actually see trees, buildings, or whatever else is in the surrounding area. When battling the Elite Four or gym leaders, the theme of their domain carries into the battle, adding a very nice visual touch to the most important battles of the game. Add in the 3D models and the battles look great – most of the time. As the followup to X and Y, many new characteristics of Generation VI have been carried over, for better or worse. One of the most prominent is also one of the biggest flaws – framerate drops in battle. Whenever the 3D is turned on, the framerate will drop during battles – this is not some of the time, this is all of the time, even before attack animations have kicked in. X and Y also had this issue, so the issue is either that they are truly maxing out the hardware or that they didn’t spend any time at all trying to improve upon the situation. This is very disappointing, since the 3DS Pokemon games actually use the 3D feature well for battles. Another negative, character customization has been completely removed from the game. 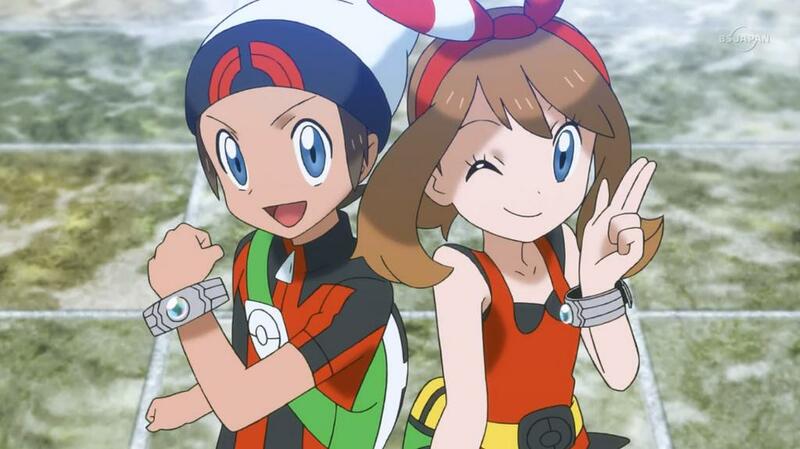 While X and Y allowed the player to change the characters’ hair, skin tone, and clothing, ORAS gives the option to play as May, the female protagonist, or Brendan, the male protagonist, and that’s it. The extent of the character customization lies in name choice. After how well the character customization was received, it’s a shame they didn’t bring it back. Another feature carried over from X and Y is mega evolutions – in fact, ORAS adds plenty more. Besides all three starters, there are plenty of new mega evolutions for Pokemon such as Pidgeot, Metagross, and Rayquaza. Unfortunately, mega evolutions (and the overpowered Experience Share) make the game far too easy. Besides the new Exp. Share giving your entire party full experience points (which is a ludicrous feature), very few in-game opponents can use mega evolutions, and most of them will still be at a lower level and completely ineffective. Being able to beat the Elite Four on the first try without a bit of grinding shouldn’t be possible. Fortunately, they will at least be at a higher level for rematches, a huge improvement from X and Y. On the note of new mega evolutions, Nintendo have acknowledged that X and Y will not be patched to accommodate trading of items to and from ORAS, meaning that no new mega evolutions will be usable in X and Y at any point. Whatever their reasons may be (most likely to force people to buy ORAS for the new megas), this seems like a stupid thing to do. A new feature for the game is the Pokenav, an interface using the touch screen for various things. These include the trading/battling Player Search System, Pokemon Amie, and Super Training that were in X and Y, but also add in a map, news broadcast, and the DexNav, which allows the player to see what Pokemon are in the surrounding area, giving them the opportunity to sneak up on specific ones that pop out of the grass instead of mindlessly walking around and relying solely on random encounters. One of the best new features is soaring. 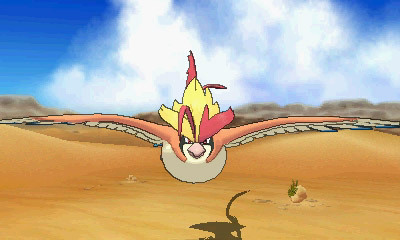 After a certain point in the story, the player will be able to fly around Hoenn on Latios or Latias, no longer needing to rely on the HM Fly or even having the Pokemon in your party. Instead of zooming from point to point, you manually fly over the region, sometimes being able to access areas with legendary or rare pokemon from other regions. While this inclusion of non-Hoenn Pokemon is a bit goofy, the ability to fly manually is super nifty – now they just need to weed out the other HMs altogether. The biggest change from Ruby and Sapphire story-wise is the Delta Episode, an epilogue that becomes available after defeating the Elite Four. This involves a giant meteoroid heading towards Earth, Team Magma or Team Aqua (depending on which version you have), and a mysterious girl named Zinnia. While adding a bit to the endgame is nice, this felt really pointless. All that it consists of is flying back and forth, a few very easy battles, and forcing the player to catch Rayquaza. This is basically just an excuse for Mega Rayquaza and another legendary to be included in the game. My biggest piece of advice for this game is to not expect things to be drastically different than Ruby and Sapphire. Yes, there are tons of new mechanics, it looks monumentally better, yada yada, but it still feels like the same game for the most part. The lack of changes to the main story (and how ridiculously easy it is) make the meta-game the obvious focus if you’re into that. A lot of my biggest issues come from the things that weren’t carried over from Emerald, particularly the more concrete story and Battle Frontier, but the game also wasn’t altered enough to compensate for overpowered megas and the new Exp. Share. Altogether, while it’s definitely a fun game, it’s certainly not as good of a reboot as HeartGold and SoulSilver were, and the main campaign from X and Y is far superior in length, Pokemon variety, and region size. 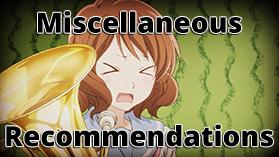 Recommendation – Buy Omega Ruby or Alpha Sapphire, don’t bother with both versions. If you’re looking to revisit Hoenn or get involved with the meta-game, this is the game for you. Otherwise, it might not be worth the investment until the price drops.